First things first - Tome of Adventure Design is easily worth more than 10 bucks in PDF on its own. 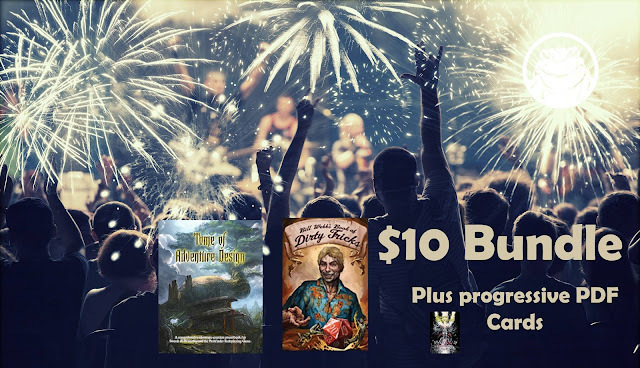 With the coupon you can get at the Swords & Wizardry Legion Facebook page (membership has its privileges), you get TOAD, Bill Webb's Book of Dirty Tricks and S&W Treasure Deck 1 in PDF. And once we hit that goal. we'll think of something else! Who wants Bill to stay in Europe for the entire summer?? ?